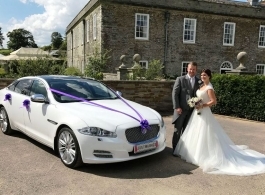 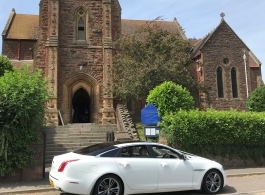 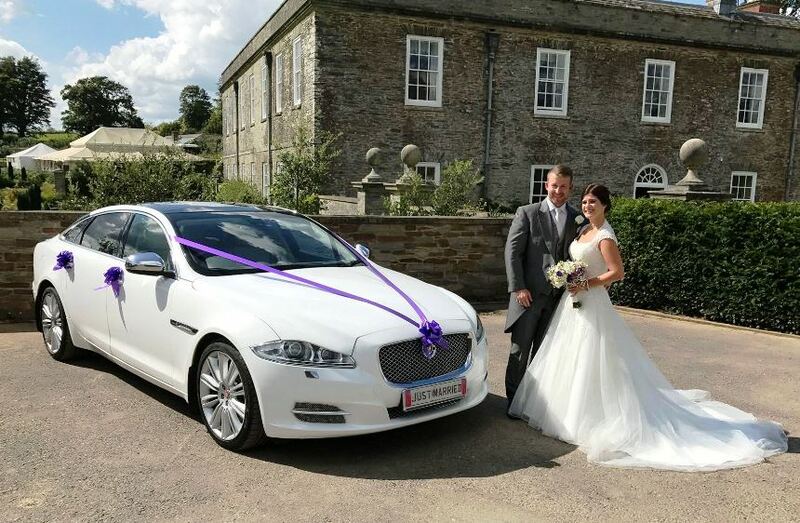 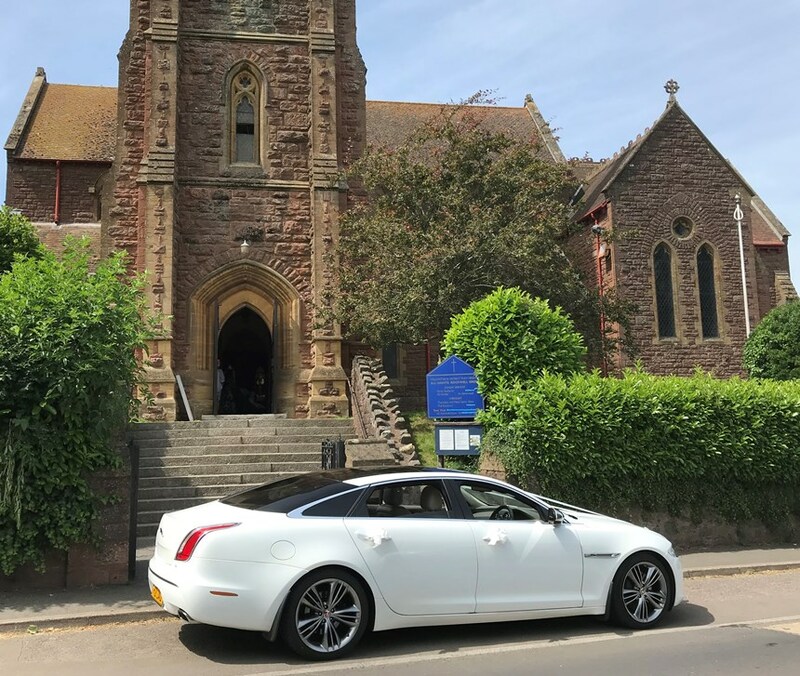 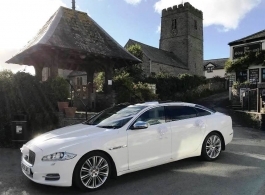 This Chauffeur driven top of the range Jaguar is a beautiful car available for weddings and other celebratory events throughout Devon & Cornwall. 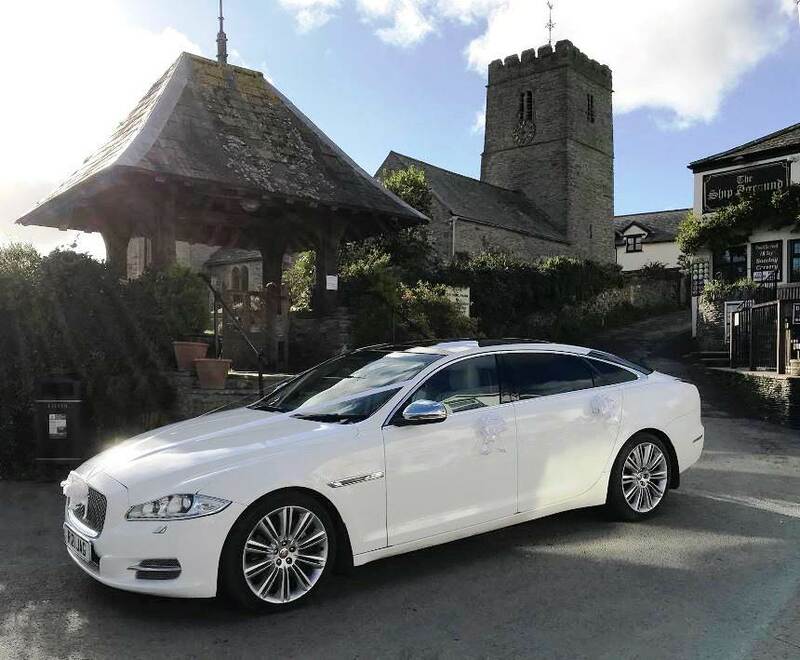 The White XJ Jaguar is a long wheel base model which has additional legroom in the rear adding to the comfort of this luxury wedding car. 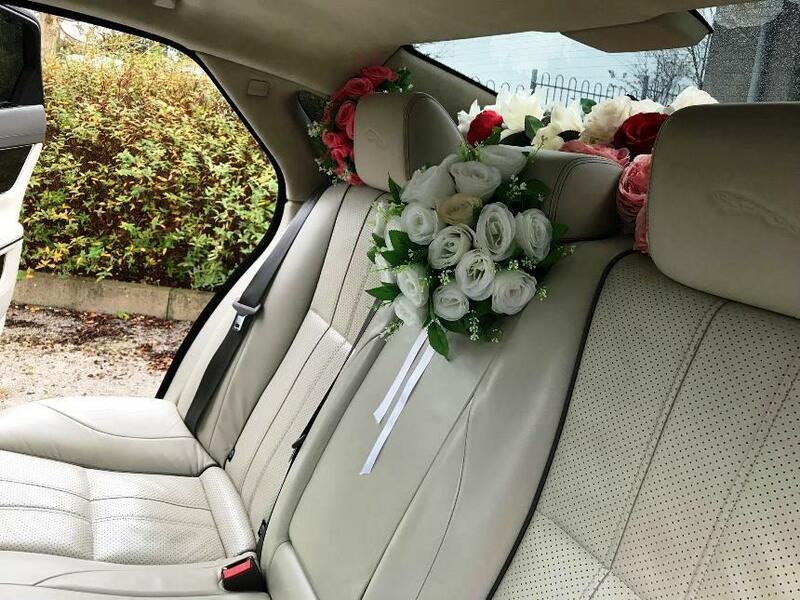 The wedding service includes a professional, smartly dressed Chauffeur, bows and ribbons of your colour choice plus flowers to decorate the interior.